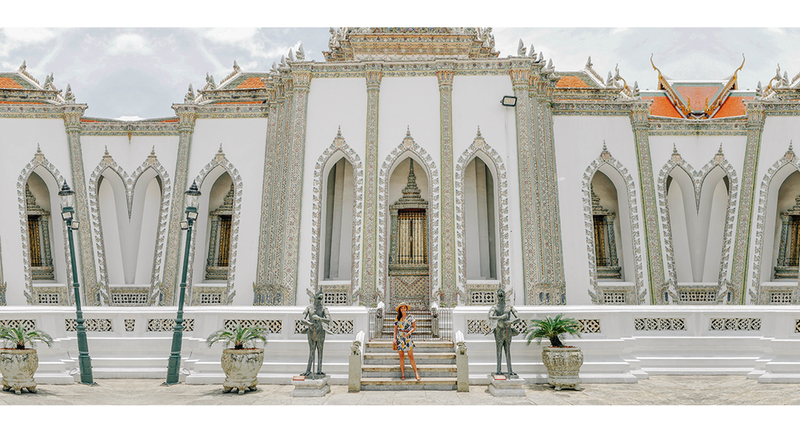 I was 18 years old when I first visited Thailand and I clearly remember falling in love with everything about the city's architecture and cheap shopping. I was fortunate enough to be invited by Skyscanner last year to work on a project. The main purpose of the trip was to feature the country's culture through its food, tourist spots, and lifestyle. Our first stop was the Grand Palace. 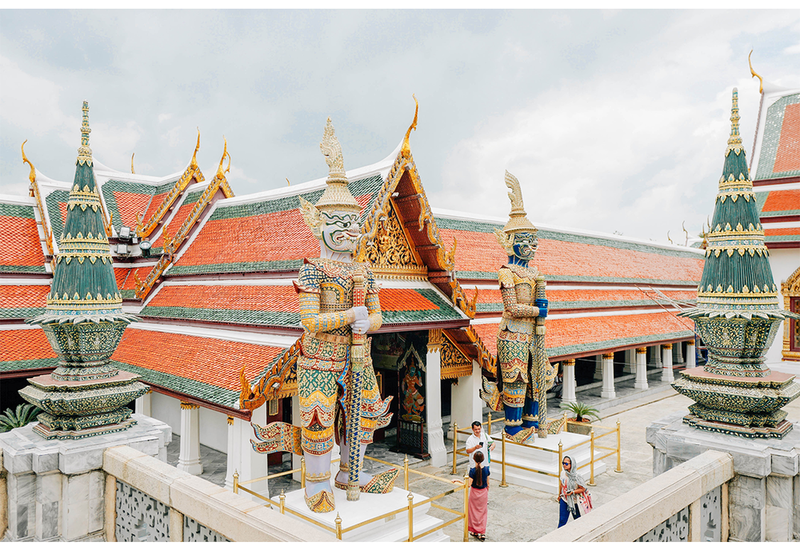 We paid 500 baht entrance fee and found ourselves surrounded by intricately designed buildings and colorful tiles. 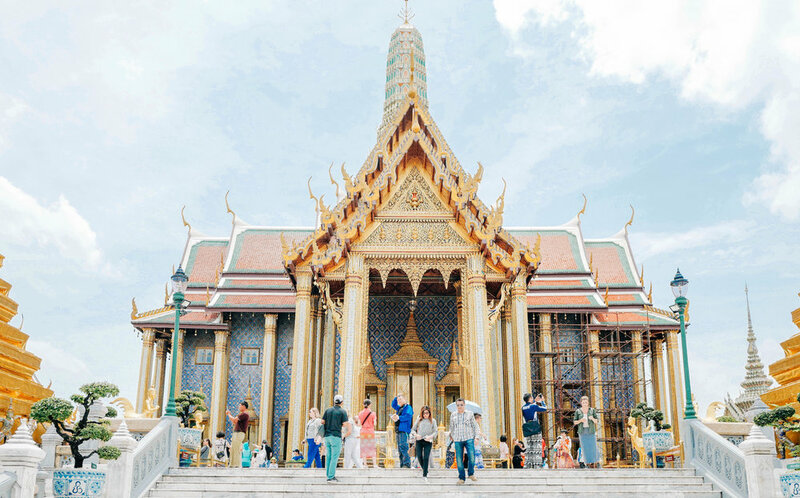 The Grand Palace is a sacred place so you need to strictly follow the dress code. I wore a t-shirt dress and I had to buy a sarong in one of the stalls outside of the palace. Some of the outfits that are not allowed are sleeveless, sheer tops, off shoulders, short skirts, and sweat pants. 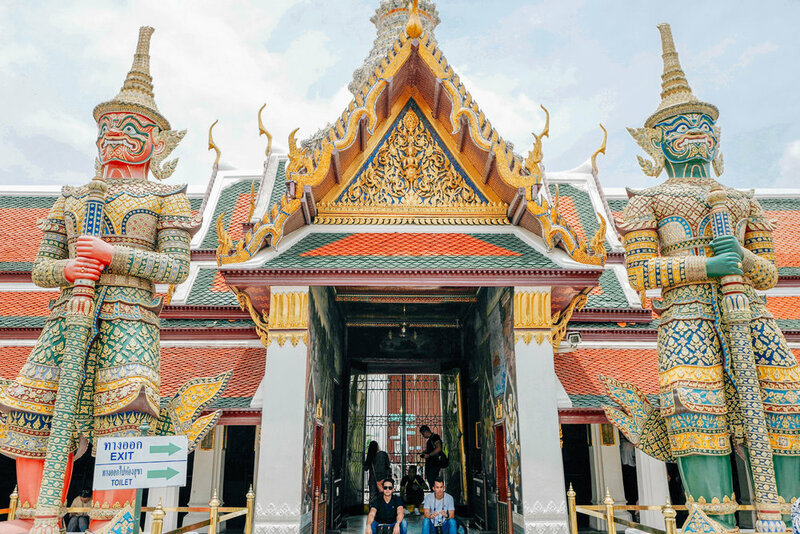 If you are planning a trip to Bangkok, bring a pair of pants or a malong/sarong for cover up when you go inside their temples. It's also best to go early since it tends to get really crowded inside the Grand Palace. It took me awhile to shoot my ootd since there were a lot of people trying to take pictures in the same spot. The Grand Palace is open everyday from 8:30-3:30 unless there is a state function.